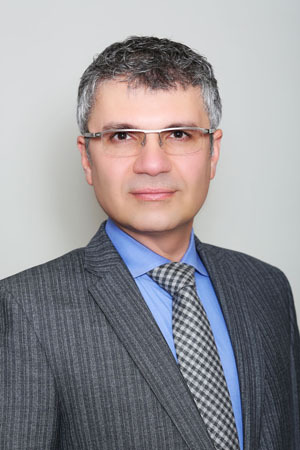 In additon to more than 20 years of clinical experience, Dr. Hashemi has authored numerous publications and presented his research work in prestigeous local and national cardiology meetings. The broad expectrum of topics covered in these publications, from atrial fibrillation to cardiac stem cell research, attest to his dedication to the core teaching of cardiology as well as awareness of the most novel of cardiovascular therapies. A placebo controlled, dose-ranging, safety study of allogenic mesenchymal stem cells injected by endomyocardial delivery after an acute myocardial infarction Seyed Hashemi, Susan Ghods, Frank D. Kolodgie, Kambiz Parcham-Azad, Martin Keane, Damir Hamamdzic, Randell Young, Marian K. Rippy, Renu Virmani, Harold Litt, and Robert L. Wilensky Eur Heart J. 2008 Jan;29(2):251-9. One Year Outcomes Of Protected And Unprotected Left Main Coronary Artery Stenting Kelley, M P, Klugherz, B D, Hashemi, S M, Meneveau, N F, Johnston, J M, Matthai, W H Jr., Banka, V S, Herrmann, H C, Hirshfeld, J W, Jr., Kimmel, S E, Kolansky, D M, Horwitz, P A, Schiele, F, Bassand, J P, Wilensky, R L.. European Heart Journal, 2003; 24: 1554-1559.